Homemade stock almost always tastes better than boxed or can (alright, we'll definitively say it does.) It also makes a lot, but it freezes well. Plus, you can use this Vegetable Stock in practically any recipe calling for stock or broth (and, of course, when you want to keep things vegetarian.) 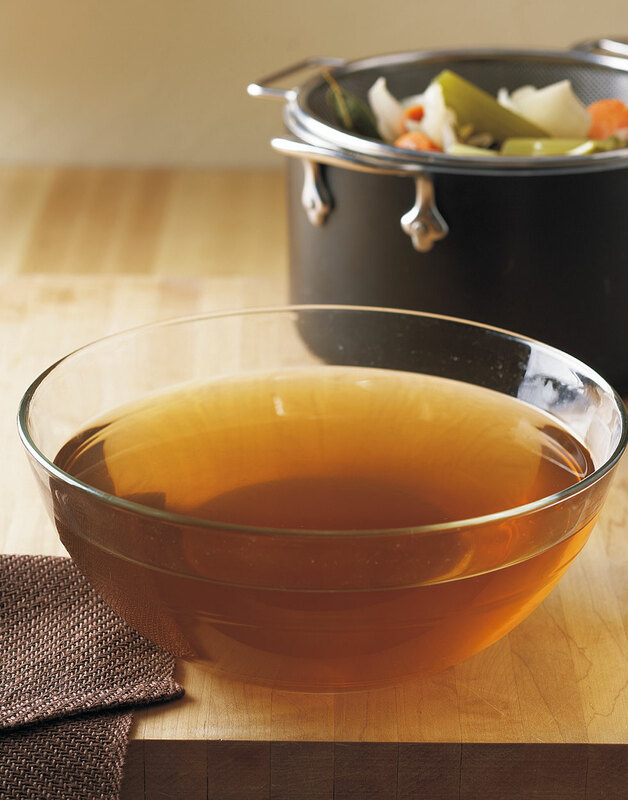 This recipe is also a great way to use up any veggie scraps you've got on hand, too — check out our tip for making Easy Homemade Vegetable Stock with trimmings. Depending on your intended use, practically any variety of vegetables from fennel bulb to leeks, turnips, and garlic can be used in making vegetable stock. Place onions, carrots, celery, parsley, thyme, bay leaves, and peppercorns in a 6 qt. stockpot. Add cold water to cover contents of stockpot by 1 inch. Simmer stock over medium heat 45 minutes to 1 hour. Skim off and discard any impurities that rise to the surface. Using a fine mesh sieve, strain stock into a large bowl, discarding vegetables. In an ice bath, cool bowl of stock to below 40°. Cover stock with plastic wrap and refrigerate. Before using stock, skim off and discard layer of chilled fat.